Thinking about replacing your accounting software? You waste too much time dealing with multiple systems that can't talk to each other. Manual processes are error prone and can't keep up with increasing demand, despite additional hires. Creating and configuring reports is too complicated, and often doesn't give you the information you need. Microsoft Dynamics has opened up new avenues for companies of all sizes to affordably expand capabilities, create greater efficiency and mobility, and be prepared for ever-changing business conditions. 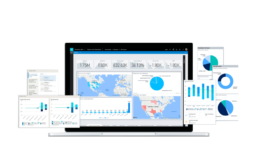 Grow beyond the limits of your basic accounting software with Dynamics 365 Business Central, an all-in-one business management solution that's easy to use and adapt, helping you connect your business and make smarter decisions. Streamline financials and automate your accounting and other back-office processes with Dynamics GP, an Enterprise Resource Planning (ERP) system with a suite of fully scalable modules. 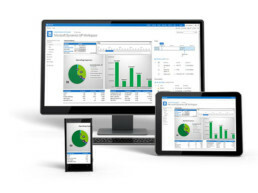 Manage your finances, inventory, supply chain, projects, manufacturing, and more, all powered by the Microsoft cloud so you can access your data on any device, anywhere, anytime.